PlayerUnknown's BattleGrounds game, which is known throughout the world as its short form name, PUBG, and its craze in India is so much that the government is thinking of banning it. But in our country, this game is played much less on the PC and more on the mobile. Because it is a Paid game and PUBG corporation has just released its free variant for mobile, now it is thought to release the company for its free variant PC from 2019 and its beta version has arrived in the market. Whenever it comes to play on the computer then the first thing in our mind is that what are the requirements of the game? Will I run in whatever system I have or not? But this time you do not need to buy system upgrades or new systems to play your favorite game. It does not have to tell you what happens in mobile and on a computer to play games. There is a mobile lightweight portal device that we can carry on anything comfortably and can play games on anything but not the PC, but even then fun comes home and comes to play on the computer itself. The player version of PlayerUnknown's BattleGrounds game was developed very carefully by the developers so that it can be easily played in every computer, and for this, the game's graphics, control has been managed very well. PUBG lite PC without emulator - This is the most important feature because any version of it without the help of an emulator, you can not play on PC. But its latest lite variant can play without emulator on your computer. 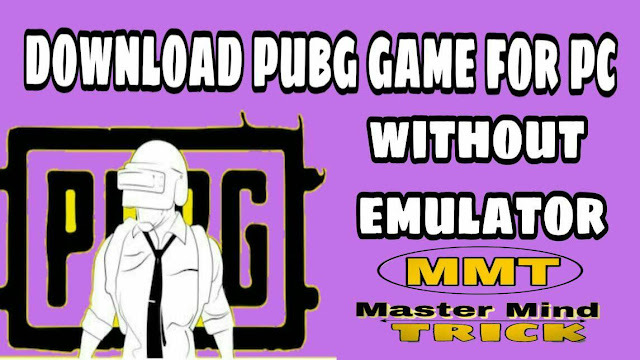 Bad PlayerUnknown's BattleGrounds game lite variant only came to Thailand, so if you have to download it in India or any other country then you have to use small internet tricks only then you can get the PUBG lite PC download link. To download this, we will have to change our existing internet network's location from India to Thailand and you will need a Virtual Private Network (VPN). Ha! There is a relief for you that you can use free or paid VPN of any kind. If you search for VPN for Thailand on the Internet you will find much software. After setting up a VPN, you will have to open the https://accounts.pubg.com/register on the URL browser and apply for the unique ID with Email, Password, and DOB first to apply. Friends, PUBG lite for PC How to download and how to use it? Hope you've got to understand. You might not be able to enjoy the gameplay right now because its server may be started after a few days and you should be configured. But as soon as you start you can enjoy the fun without emulator of PUBG Lite PC gameplay. If you have any questions or suggestions, do not forget to comment and share this post together.